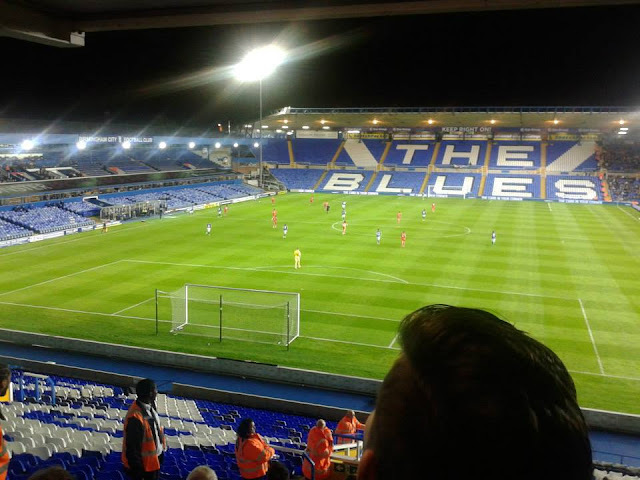 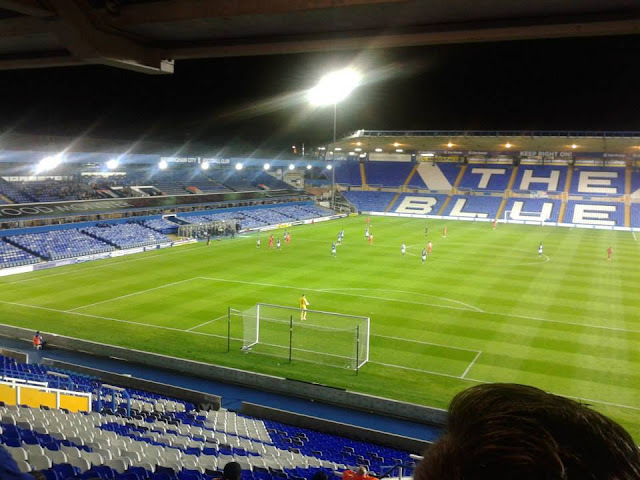 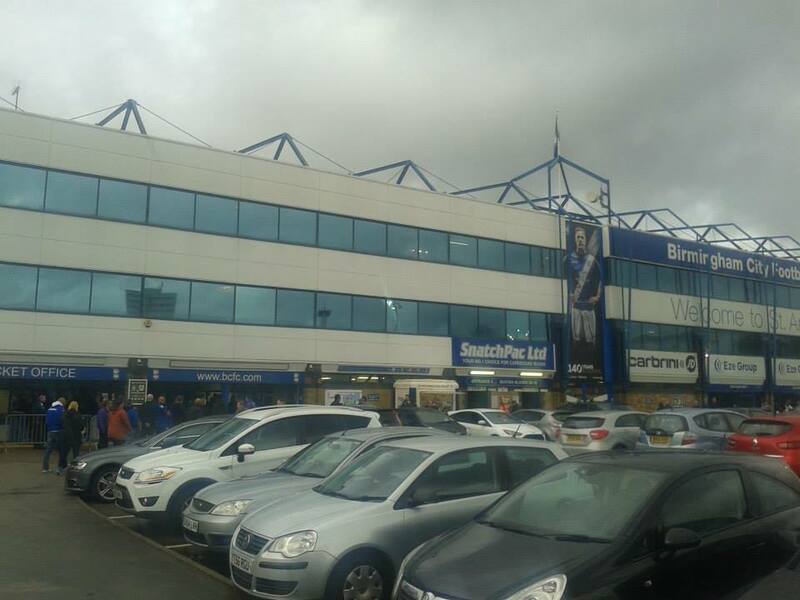 Last match I went to see: Birmingham City 2-0 Gillingham, Tuesday 25th August 2015, League Cup. 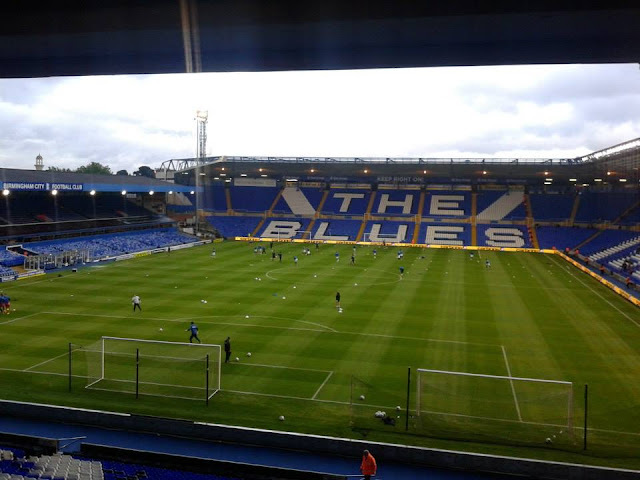 Birmingham City Football Club were formed in 1875. 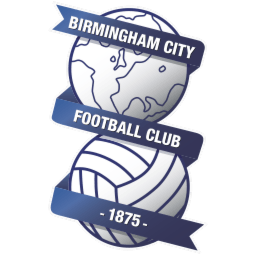 They were formed as Small Heath Alliance, then 3 years later became Small Heath and then became Birmingham City in 1905. 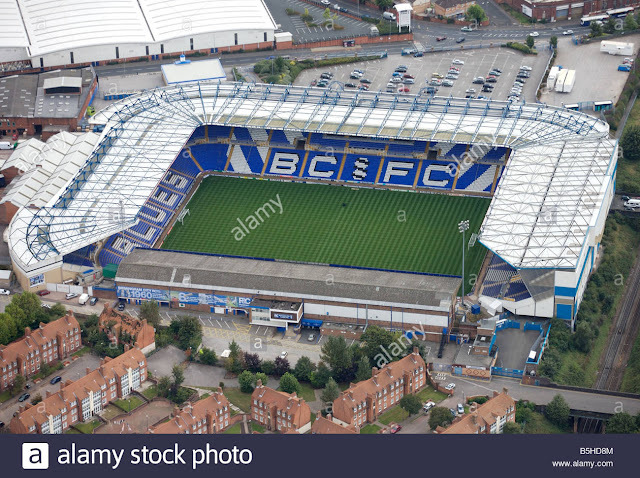 As Small Heath, they played in the Football Alliance before becoming founding members and then first ever Champions of the Second Division. 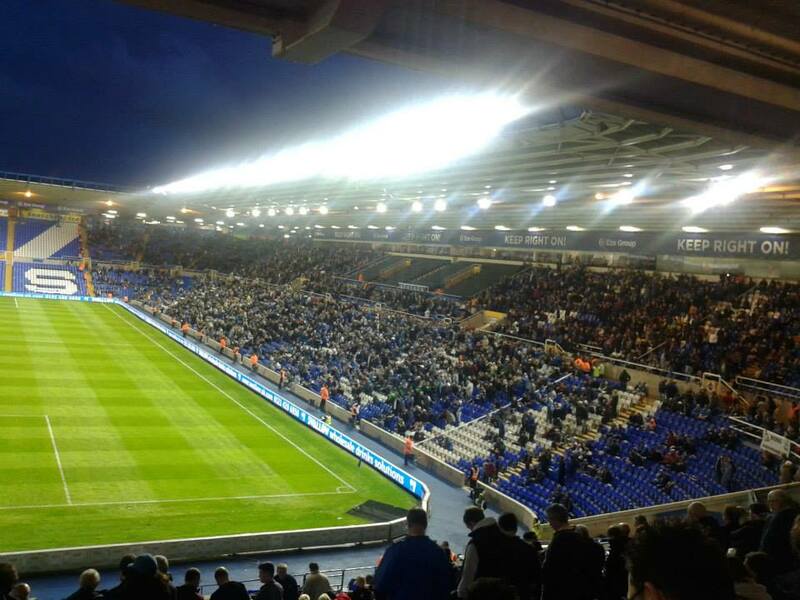 St Andrew's has been the home of Birmingham City since Boxing Day in 1906. The ground currently holds just under 29,500 and also was renovated between 1993-1999. 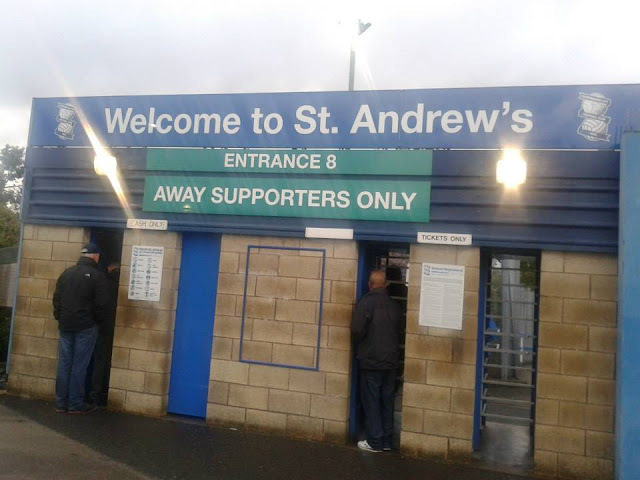 St Andrew's has also been known to host England matches (other than the 1st team) along with Semi-Finals of the FA Cup, and hosted other sports including Rugby Union and Professional Boxing. 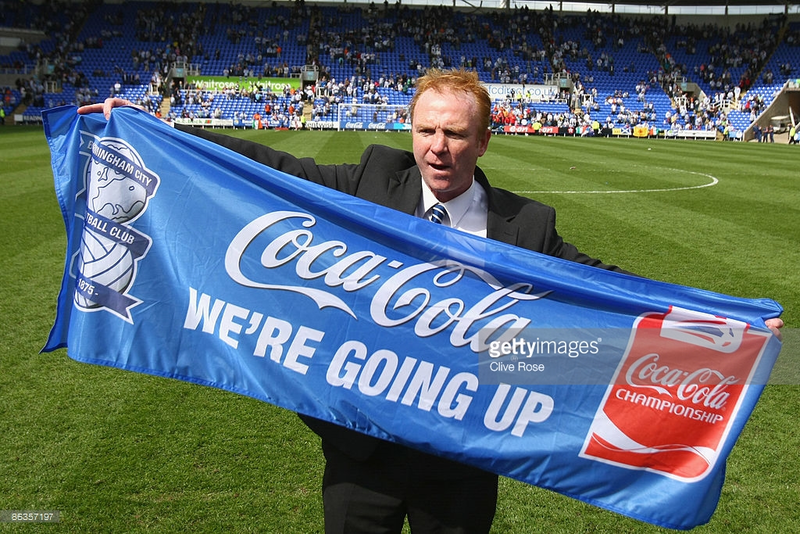 Birmingham City have won the League Cup twice. 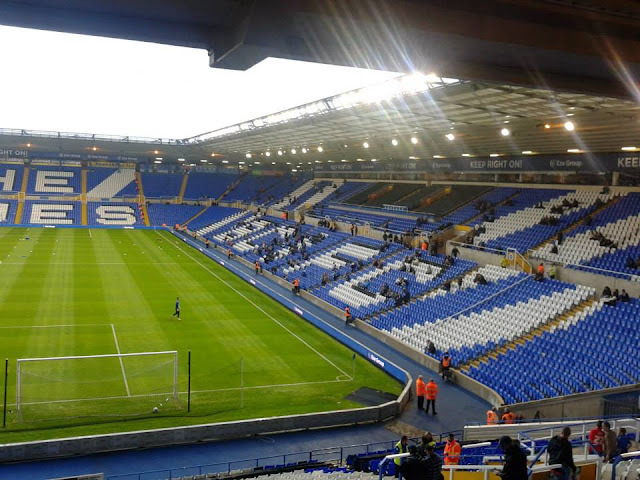 Their 1st win was in 1963 beating rivals Aston Villa 3-1 on aggregate. 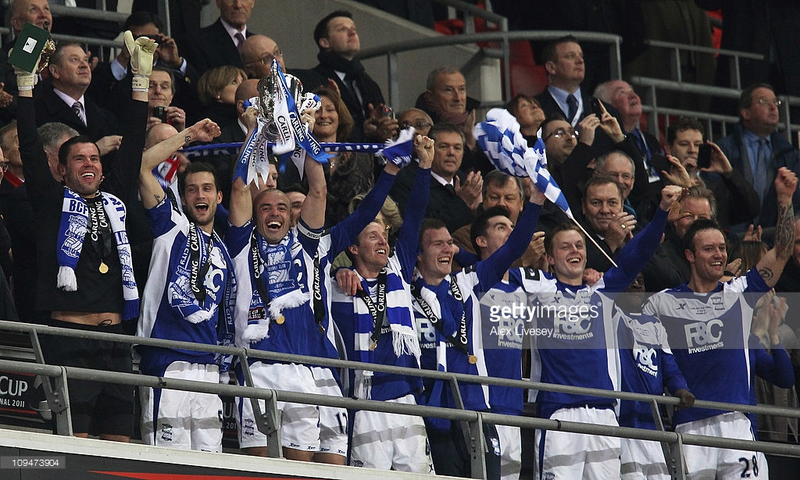 Their 2nd win came in 2011 beating Arsenal 2-1 at Wembley. 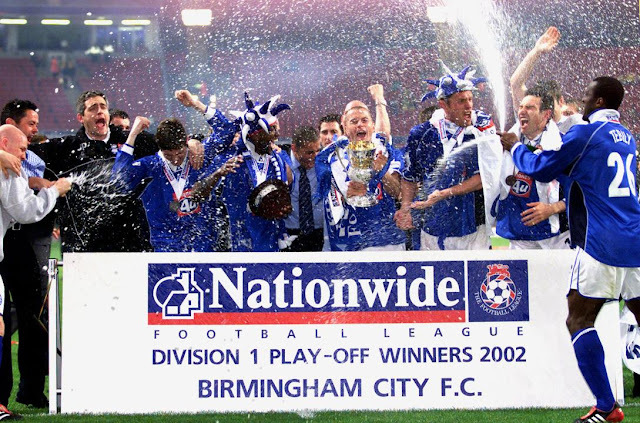 Goals coming from Nikola Zigic and Obafemi Martins. 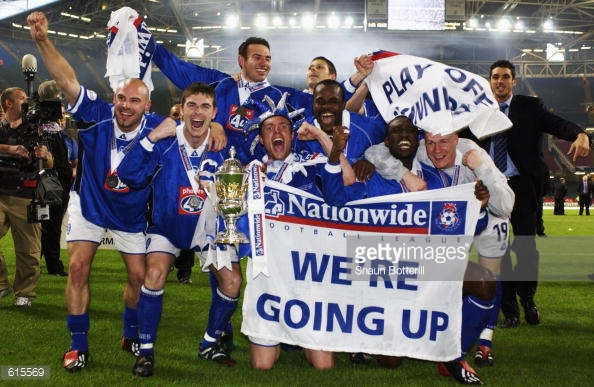 They also lost on penalties in 2001 at the Millennium Stadium against Liverpool. 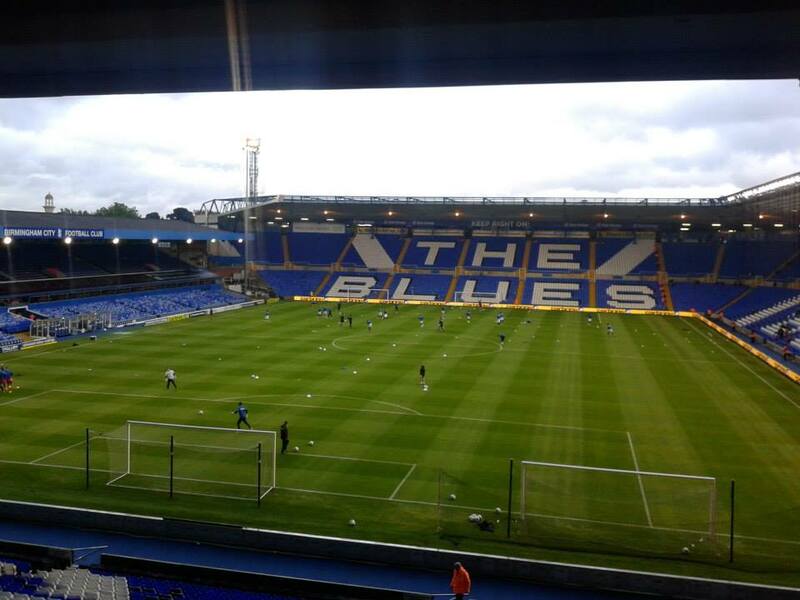 Birmingham's City's 1st ever League title win came in 1893 as Small Heath. 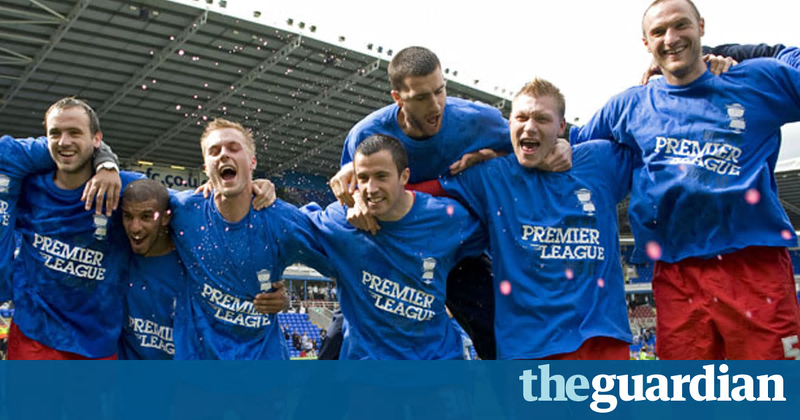 They won the Second Division on 36 points from 22 games, beating Sheffield United to the title. 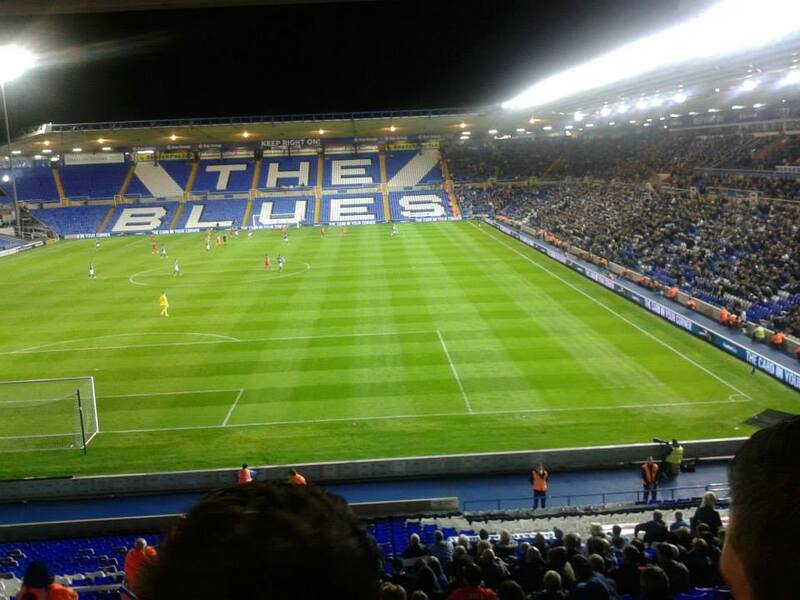 Birmingham City's main rivals as their Birmingham neighbours Aston Villa. 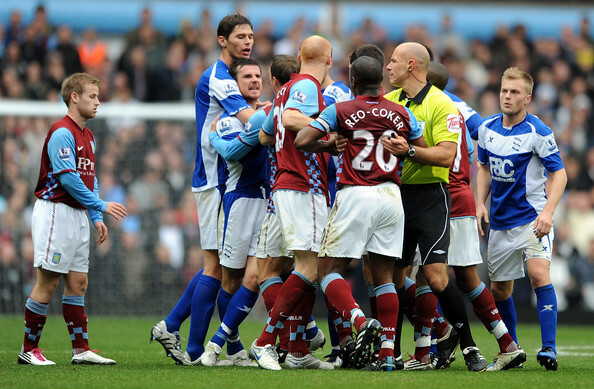 It is known to be one of the fiercest rivalries in England, and it's otherwise known as the Second City derby. 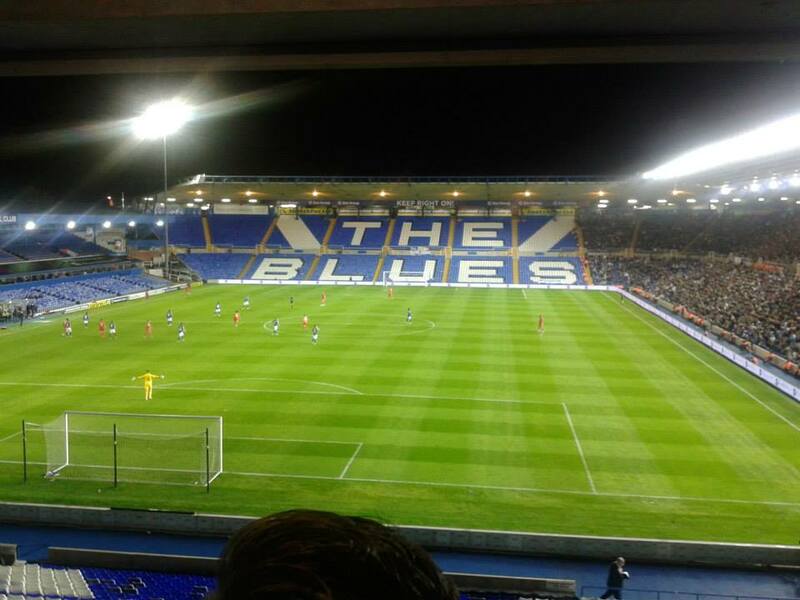 This is because of Birmingham being referred as the second city in the United Kingdom. 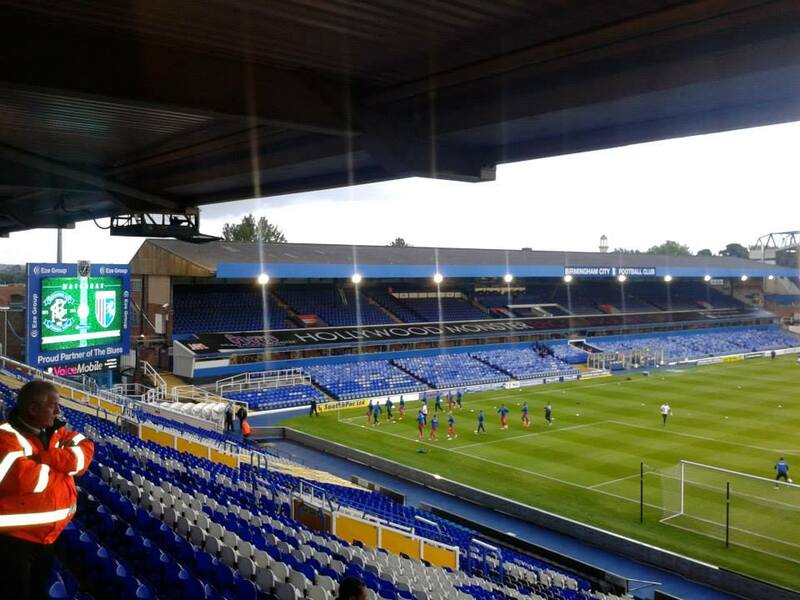 I have only visited St Andrew's the once which was this season as of writing, and it was pure luck I got to tick the ground off as Gillingham got through to the 2nd round of the Capital One Cup after beating Plymouth, so watched the draw live on TV, wasn't overally happy with the draw itself due to us potentially getting a Premier League tie away as we got drawn the away side, but none the less still happy with Birmingham away as of course another ground off the list. 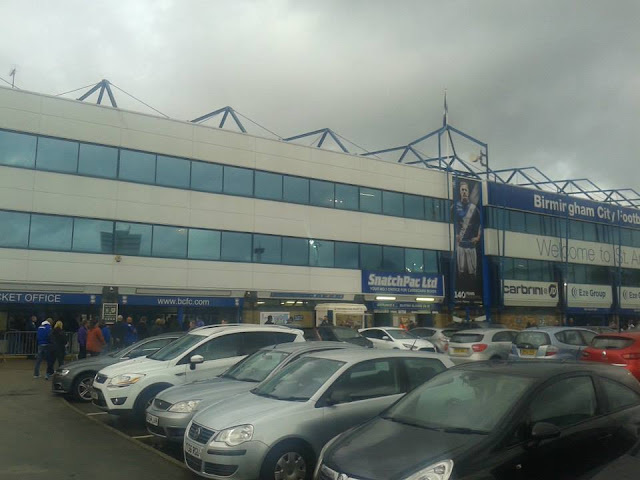 Set off from Gillingham on the coach about half 2, quick stop on the way at the services and got to the ground around quarter to 7. I do believe that Birmingham the place itself is listed as one of the worst places to live in, and you could probably agree, that's no disrespect to any Birmingham fans at all. Anyway onto the game itself, probably unlucky to lose on the night, but Birmingham took their goals well and were a very good side so half expected to lose anyway due to Birmingham being a division higher than us. Was a bit frustrating as we had won on the night we would have been going back to Birmingham again for Villa away, but never mind. 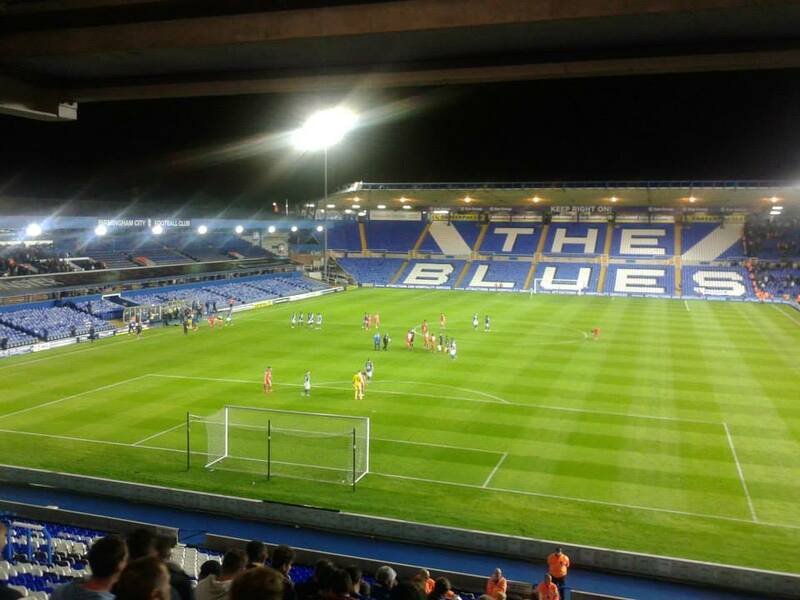 Overall, was a good night though, glad to have ticked both Birmingham grounds off the list now!